A self-crosslinking water-based topcoat that mimics the lustrous look and feel of wax. 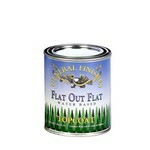 It is recommended for lower use projects other than kitchen cabinets and table tops. 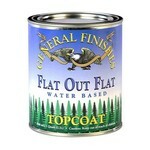 If desired, thin topcoat with 10-15% distilled water or General Finishes Extender. Extender will improve flow and leveling and increase open time, which is helpful in dry climates. No more than 3 coats are recommended. Flat Out Flat contains more matting agents to decrease the sheen, and the finish can get cloudy when excessive topcoats are applied. Hand application: Apply a liberal amount of product using an acrylic bristle brush, foam brush, pad applicator, or roller. Avoid pressure and excessive back-brushing. 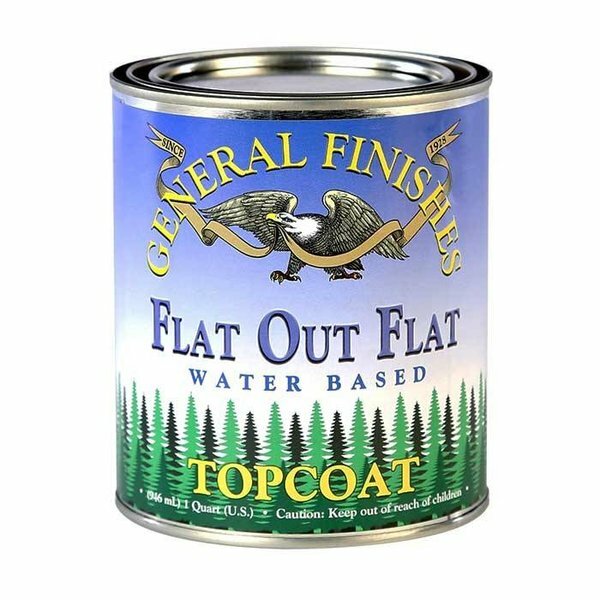 If a faster build is desired over raw wood, use General Finishes Sanding Sealer for the first coat, followed by 2 coats of Flat Out Flat. Remove dust with a vacuum, oil-free tack cloth or clean water-dampened rag before re-coating. Water-based finishes cure and harden for full use after 21 days in ideal conditions. Avoid placing heavy objects on surfaces that have not completely cured. Treat gently, and do not clean during the curing period. To avoid streaking, apply a liberal amount of product and avoid using pressure and back-brushing. Wipe the wood grain using smooth, even strokes. Use a large applicator, such as a paint pad, for larger surfaces. Remove streaks by buffing with 400-grit sandpaper or fine-grade (220-320) sanding pad, or sanding well and re-coating.